All of our partners are vital to building our organization, and we are grateful to each one for their unique contributions. emBOLDen Alliances ​is a global nonprofit organization founded with the goal of helping community-based organizations achieve their vision for betterment for their own communities. From Our Team's 65+ years of hands-on experience with vulnerable and crisis-affected communities, we understand to our core that communities and community-based organizations are the first, last, and always for themselves. Here in the US and around the globe, ​we operate through partnerships to maximiz​e​ resources and ​to ​measur​e​ and demonstrat​e​ durable impact. The American Society of Clinical Oncology is a membership organization with a network of over 40,000 oncology professionals. ASCO promotes and provides for lifelong learning for oncology professionals, cancer research, an improved environment for oncology practice, access to quality cancer care, a global network of oncology expertise, and educated and informed patients with cancer. 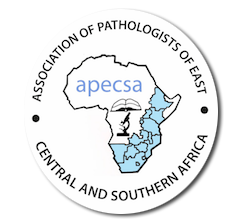 The Association of Pathologists of East, Central, and Southern Africa (APECSA) is a professional body whose members are practicing pathologists and trainees working in laboratories in public and private hospitals and university medical schools. APECSA’s main objective is to promote the advancement of pathology in the region through the improvement of methods of teaching, training and services in pathology, the coordination of all disciplines related to pathology and allied sciences, the promotion of research, cooperation with national and international organisations, the dissemination of reports and information, the provision of a forum for communication between pathologists in the region, and the promotion of the interests, privileges, and welfare of its members. 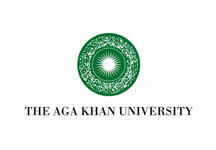 Aga Khan University Hospital in Nairobi is a tertiary level teaching hospital that is a premier provider of ambulatory care and quality in patient services, including critical care. The Hospital plans to strengthen existing partnerships with the Ministry of Health and other universitiesof ering health education, with an aim to share experiences, strengthen public sector delivery systems, and collaborate on teaching and research. The College of Pathologists of Eastern, Central, and Southern Africa (COPECSA) aims to promote excellence in the practice of Pathology and is responsible for maintaining standards through training, examinations, and professional development for the benef t of patients and the improved understanding and outcome of disease.